Numerous substituted cathinone drugs have appeared in recreational use. This variety is often a response to legal actions; the scheduling of 3,4-methylenedioxypyrovalerone (MDPV; “bath salts”) in the USA was followed by the appearance of the closely related drug α-pyrrolidinopentiophenone (alpha-PVP; “flakka”). This study aimed to directly compare the efficacy and potency of alpha-PVP with that of MDPV. Groups of male Wistar rats were trained in the intravenous self-administration (IVSA) alpha-PVP or MDPV under a fixed-ratio 1 schedule of reinforcement. An additional group was examined for locomotor and body temperature responses to noncontingent administration of MDVP or alpha-PVP (1.0, 5.6, and 10.0 mg/kg, i.p.). Acquisition of alpha-PVP (0.1 mg/kg/infusion) IVSA resulted in low, yet consistent drug intake and excellent discrimination for the drug-paired lever. Dose substitution (0.05–0.25 mg/kg/infusion) under a fixed-ratio 1 schedule confirmed potency was similar to MDPV in prior studies. In direct comparison to MDPV (0.05 mg/kg/infusion), rats trained on alpha-PVP (0.05 mg/kg/infusion) responded for more infusions but demonstrated similar drug-lever discrimination by the end of acquisition. 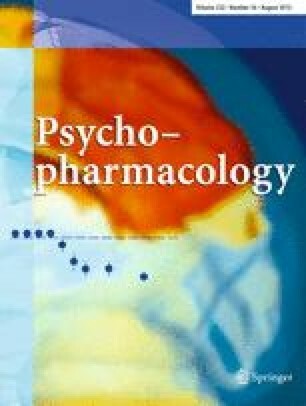 However, the dose–response (0.018–0.56 mg/kg/infusion) functions of these drugs under a progressive-ratio schedule of reinforcement reflected identical efficacy and potency. Peak locomotor responses to MDPV or alpha-PVP were observed after the 1.0 mg/kg, i.p. dose and lasted ∼2 h. Modest body temperature decreases were of similar magnitude (∼0.75 °C) for each compound. The potency and efficacy of MDPV and alpha-PVP were very similar across multiple assays, predicting that the abuse liability of alpha-PVP will be significant and similar to that of MDPV. This work was funded by support from the US Public Health Service National Institutes of Health (R01 DA024105), which had no direct input on the design, conduct, analysis, or publication of the findings. This is manuscript #28012 from The Scripps Research Institute. The authors report no financial conflicts that are relevant to the conduct of this study.